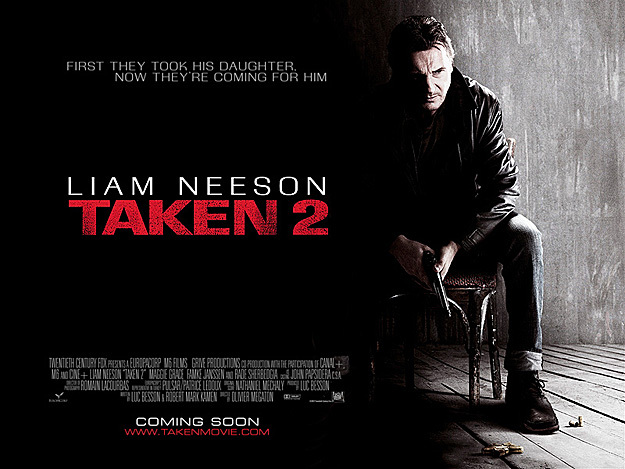 Check Out This ‘Taken 2’ Trailer And Search For Clues!!! Search for the hidden scene on twitter by typing #Taken2Scene. Forest Whitaker Joining Liam Neeson for ‘Taken 3’!?!? Bryan’s Review of ‘Taken 2’!!! This entry was posted on Wednesday, September 5th, 2012 at 3:46 pm	and is filed under Film, News. You can follow any responses to this entry through the RSS 2.0 feed. You can skip to the end and leave a response. Pinging is currently not allowed. « ‘The Dark Knight Rises’ Is Getting A Director’s Cut on Blu-Ray!?!?! Tell me you love me now. I love you now. I love you always.